We saved our Cinderella Pumpkin from fall and decided to break it open and see if it was still fit for consumption. Our pumpkin was so heavy I could not pick it up so my beloved did the hard work, lifting, not to mention cutting and cooking. We had been storing it in the garage. 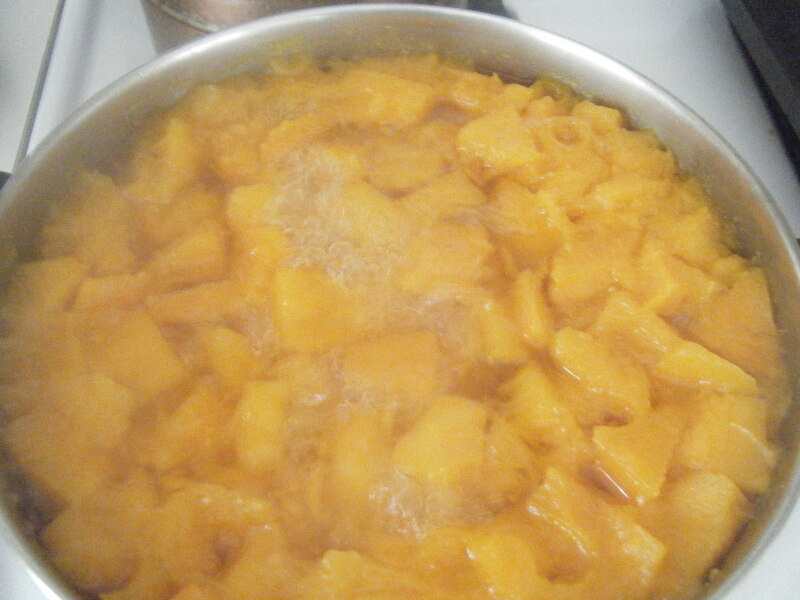 Todd stepped in at this point cutting one-quarter of the pumpkin up into cubes and simmering it on the stove top for about ninety minutes. From the sofa reading I watched as he drained off cooked pumpkin and set aside leaving the lovely orange broth in the pan. He added 2 tablespoons of butter to a small metal dish …floated it on top the broth for a couple of minutes, and dangerously pulled it with his bare hands added 2 tablespoons of flour to the butter and made a roux. Next he added the breast of one chicken from a rotisserie chicken(hand shredded) from the market. (I try to keep one on hand at all times as my back up plan) sprinkled a bit of curry, cinnamon, salt and pepper to taste, added the roux and garnished with green onions. Had no idea the boy had that kid of talent Trish! MMMMMMMMMMMM! Delicious and aren’t you two clever, clever, clever peeps. Who would have imagined that a pumpkin could hang on so long?